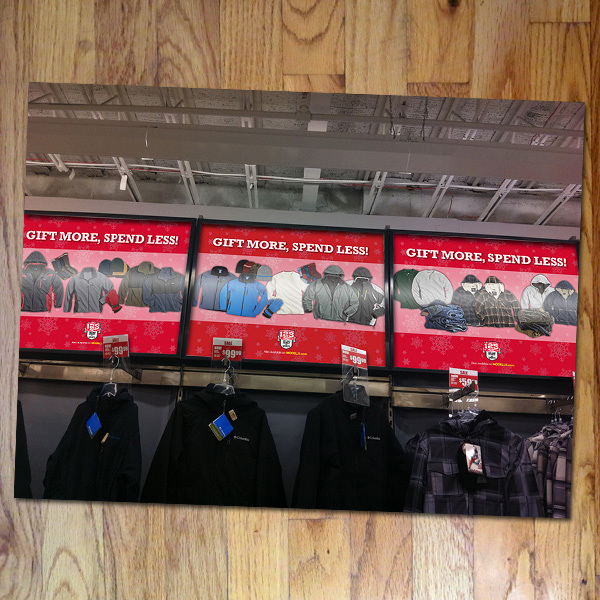 As part of Modell’s Holiday 2014 campaign we chose to extend some of the branding and imagery from the fall/winter “Layer Up & Save” in-store POP. 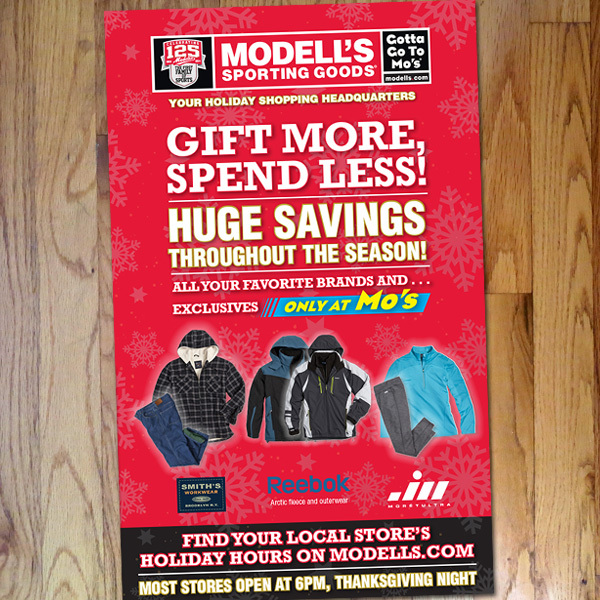 The holiday package featured the Modell’s exclusive house brands as “Only at Mo’s.” A festive snowflake pattern was combined with a typographic and messaging refresh of “Gift More, Spend Less!” The roll out began with two direct mail pieces. 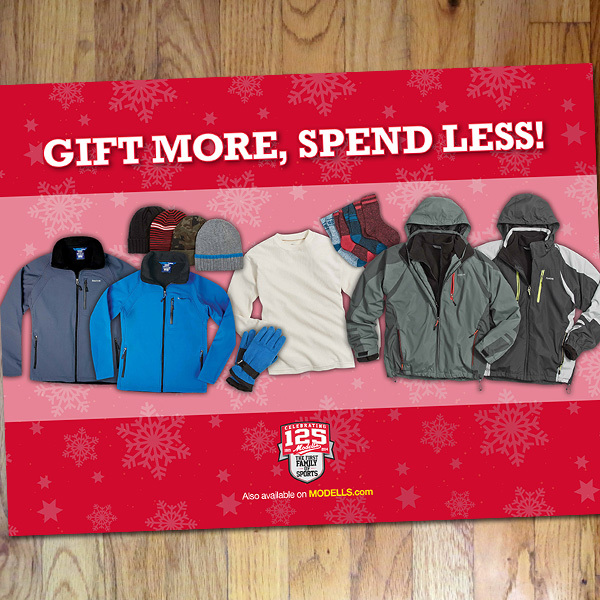 Messaging was both holiday savings and a sneak peek into their Black Friday deals. 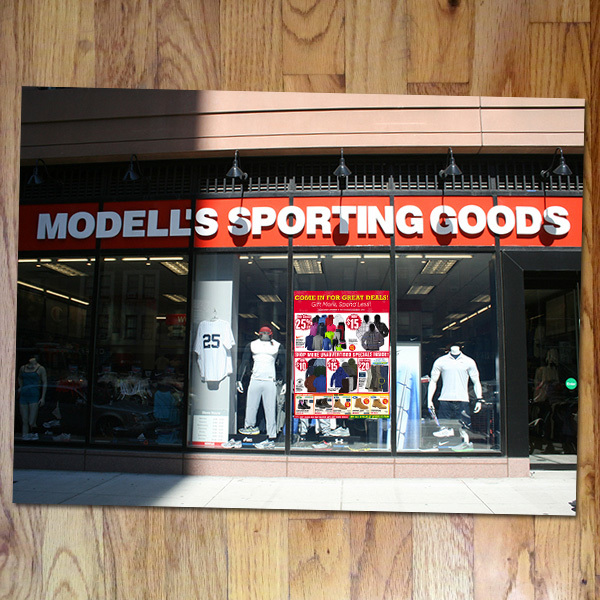 The thematic was then rolled out to their in-store POP. 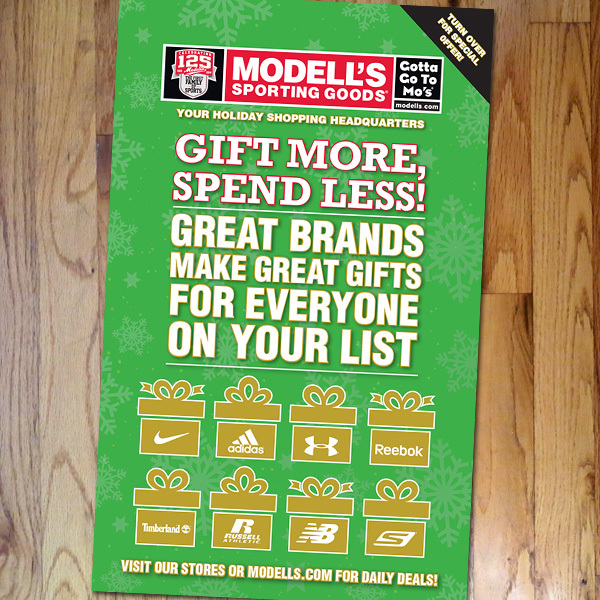 Designer Vinny Lee assisted me in the creation of snap frames, toppers, window banners and preprinted Black Friday and holiday sign kits.